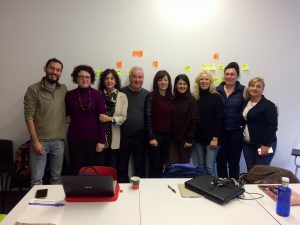 The PACE partners gathered in Pamplona for the 3rd project meeting. The spanish students, the ones who organized the student exchange for their peers in November, arranged the accomodation for the participants of the meeting. 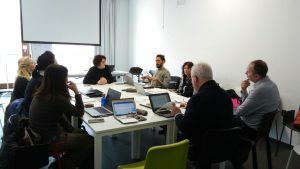 As the project is approaching its end step by step, this gathering in Pamplona was the key to clarify every task to be accomplished until the end of the meeting. 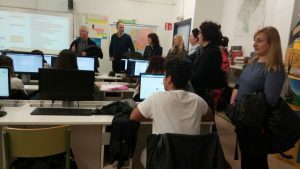 Next student exchange in Bremerhaven, outputs finalization, creation of good pratices, evaluation of the products and the project, financial reports, or dissemination strategies were some of the topics treated by the partners. Moreover, the structure of the test to get the Entrepreneurial Project Management Certificate (EPMC) was presented and some provisional dates for its implementation were established. Great project team, great energy, go go PACE!